A large number of pedestrian accidents occur in crosswalks and are often the fault of the driver of the car. Car-pedestrian accidents are a common occurrence across the United States. Unfortunately, many of these accidents occur due to the fault of the driver, who either did not look out for any pedestrians or simply failed to yield the right of way to a pedestrian. A large number of pedestrian accidents occur in crosswalks. Failing to yield the right of way to a pedestrian in a crosswalk is a moving violation and often results in serious injuries and fatalities. A person who is found guilty of this violation can face heavy penalties and fines. A person found guilty of failing to yield the right of way to a pedestrian in a crosswalk may have to pay a fine ranging from $100-$500. If the person repeats the offense, the fine may be higher and the person may even get jail time. For more serious injuries and damages, the individual will have to pay higher penalties and fines. A driver found guilty of failure to yield the right of way to a pedestrian in a crosswalk can get at least two demerit points on their driving record. This can have several consequences for the driver. For example, the points can add up quickly and he or she may lose their driver’s license for a specific period of time. This would also lead to an increase in the premium the person has to pay for insurance. 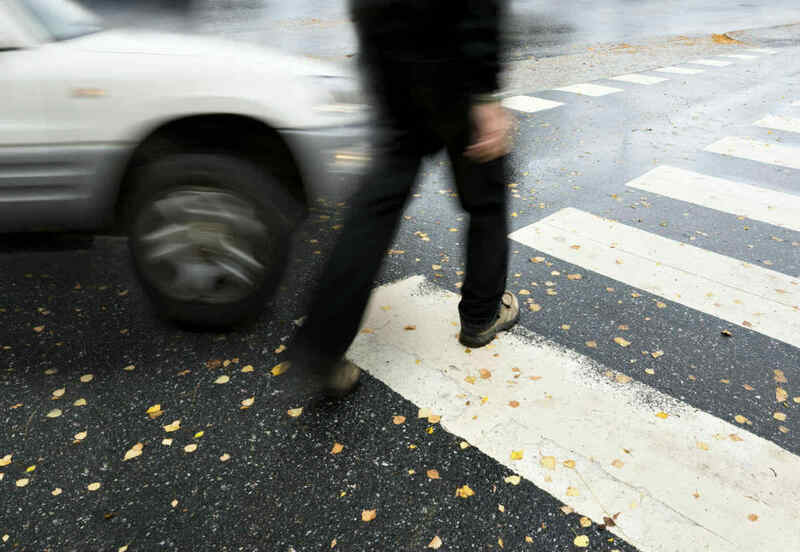 If a pedestrian gets injured in an accident caused by a driver who failed to yield to the right of way in crosswalk, he or she can claim damages from the at-fault driver. The pedestrian can claim all medical expenses, loss of wages, property damage, pain and suffering or any other accident related expenses from the driver. If the driver fails to pay the damages claimed by the pedestrian, the pedestrian can file a lawsuit to get the compensation that he/she deserves. Depending on how serious the injuries are, the at-fault driver may have to pay damages running into thousands of dollars. In the case where a pedestrian gets killed in an accident caused by the driver’s failure to yield to the right of way, his or her dependents may be able to make a claim and seek compensation for all the expenses they incurred, and for the pain and suffering they endured. To speak with an experienced pedestrian accident attorney, call (314) 361-4242. We offer free consultations in all personal injury cases and you never pay attorney fees unless we recover compensation for you.